Out on the road I am starting to notice there are more and more teen and immature drivers on the road. Just the other day an immature driver in a small car cut me off without any warning and then flipped me off. I was just driving the speed limit not doing anything wrong while this kid comes up and does whatever he wants. Waiting to get your permit can be an exciting time for immature drivers. The first thing is for you to get your provisional permit before you do anything else. A license is labeled provisional if the person is under the age of 18. The provisional license carries more restrictions than a normal license that a person that is 18 and over would have. Candidates looking to get their driver’s license must be at least 16 years of age. Also, you must have held your permit in the same state for at least one year. Teen driving candidates must also complete a driver’s education class. The final requirement is to have 50 hours of completed practice time with an adult that is twenty-one years of age or older and that has at least one year of driving experience. There must also be six hours of completed professional driver training by selecting one of many Texas Driving Schools. The adult must sign off and log all fifty hours of time and then of those fifty hours must be done during the night. A provisional driver’s license comes with a number of restrictions. The first restriction is you are not allowed to drive between midnight and five in the morning. The main reason behind this restriction is because newer drivers are considered more dangerous, so it is best to not let them drive late at night in order to protect other drivers. 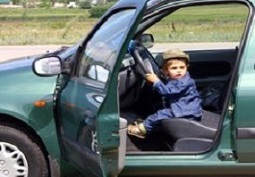 Only family members are allowed to ride in the vehicle during the first six months on a provisional license. After the first 6 months has passed you are allowed one passenger, who is not a family member, to ride in the vehicle you are driving. Once you have had your license for one year you are allowed up to three passengers, who are under the age of twenty-one and who are not family members to ride in the vehicle you are driving.